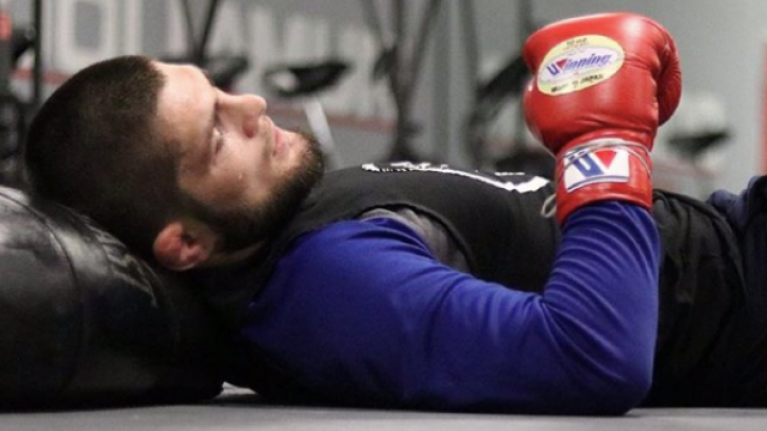 Khabib Nurmagomedov claims that an offer is on the table to box in Moscow this summer. Nurmagomedov has long hinted at a switch to boxing and identified Floyd Mayweather as one of his ideal opponents when he set out his three-fight plan before he retires. The UFC lightweight champion met with head of Russian boxing Umar Kremlev this week, when Nurmagomedov revealed that the opportunity to fight at Russia's 80,000-capacity Luzhniki Stadium was presented to him. "The Russian Boxing Federation came up with an offer. Summer. Luzhniki etc," Nurmagomedov wrote on Instagram. "How do you think, (my) friends, should we take this challenge?" Last week, Nurmagomedov was suspended for a maximum of nine months and fined $500,000 by the Nevada State Athletic Commission for his role in the UFC 229 melee and while Nevada obviously can't govern events in other countries, foreign athletic commissions typically follow Nevada's lead. Although Russia tends to play by its own rules at times. Even if Nurmagomedov doesn't take the proposed offer to take part in an anti-bullying PSA, which would see his NSAC suspension reduced from nine months to six, 'The Eagle' will still be free to fight after July 6. Nurmagomedov and Mayweather have gone back and forth in the past about the possibility of sharing the ring with each other now that the unbeaten 50-0 boxing great seems more concerned with lucrative spectacles than legacy-challenging contests but it's unlikely that 'Money', being the A-side, would agree to enter enemy territory for an actual fight. Mayweather did travel to Japan to take on kickboxer Tenshin Nasukawa on New Year's Eve in a ludicrous exhibition bout which saw the significantly outsized Japanese fighter stopped in the first round. But Russia is not Japan and Nurmagomedov is considerably larger and stronger than Nasukawa so don't expect Mayweather to rush to sign that particular bout agreement. 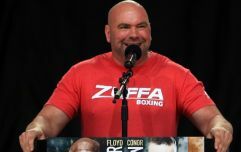 Dana White to unveil "the future of fighting in next two months"